Curious about BtsTip? 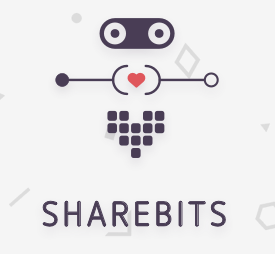 Visit us at http://sharebits.io and start tipping BTS on https://bitsharestalk.org/ today! How do i buy in? with bts? FISTBUMP is also available for USD/CNY/BTC. Be sure to get some GREATIDEA while you're there! We will be giving out 500 HIGHFIVE to the first 6 twitter accounts that share with @beyond_bitcoin. ANY UIA will be accepted! [member=40140]hybridd[/member] and [member=38688]kuro112[/member] ...the tip didn't go through? I used the old #btstip then edited the post, prob why. We need more liquidity in the FLUMP market..
You should make that happen! The FISTBUMP Market Rate was set at 50% and was therefore only crediting 50% of purchases off the DEX. This has been corrected and a 0% Market Rate is now set. This was due to a misunderstanding and absolutely no documentation on what the Market Rate feature did exactly. In a previous lightwallet it stated that Market Rate was for "Fees", but that is not the case or at least not completely the case. I have gone back through the recent purchases and located the two people that have purchased off the DEX and will be crediting the other 50% to your account shortly. I apologize for the problem! I'm not sure who this person is, so I'm posting this publicly for you. Here's your missing FISTBUMP with a little bonus. I also sent 25K to the other person and pm'd you.